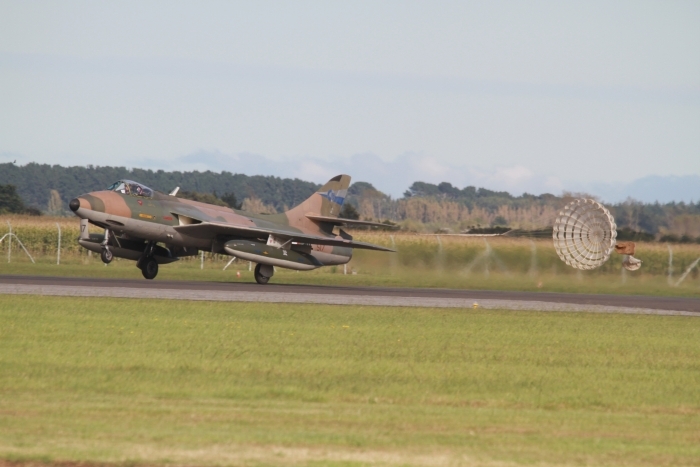 RNZAF Base Ohakea is a operational base of The Royal New Zealand Air Force. The base itself was opened in 1939 and is the home to Beech King Air B200 aircraft and Iroquois helicopters. 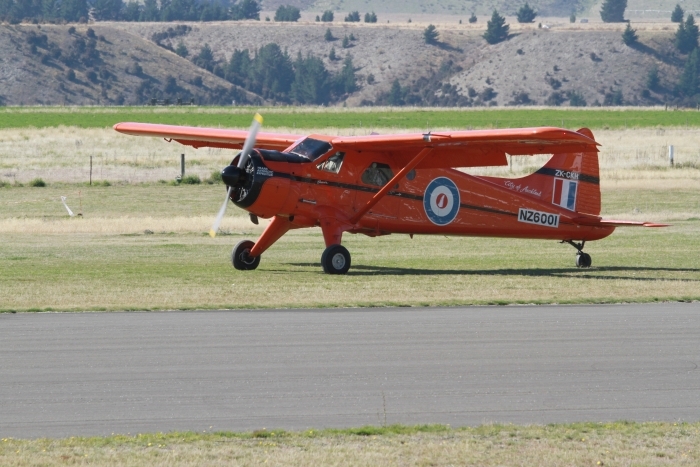 Operations from Ohakea include search and rescue training and VIP flights as well as a variety of other uses. 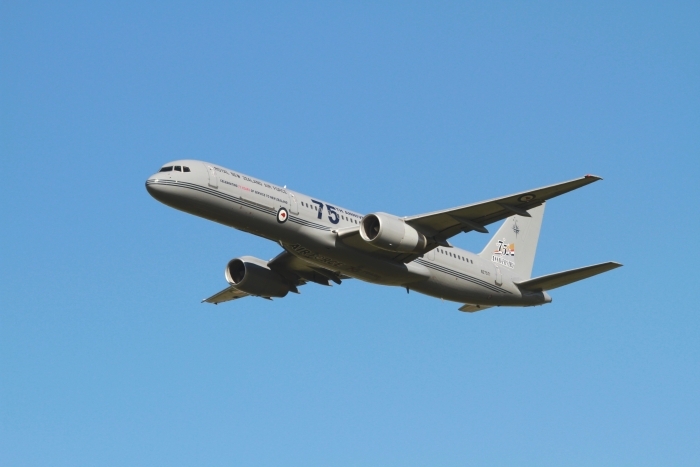 The Royal New Zealand Air Force (RNZAF) celebrated its 75th anniversary in 2012. With a tribute to all men and women who have served in years gone by and those who serve today. At the time of the celebrations there has been an exercise called Kiwi Flag. 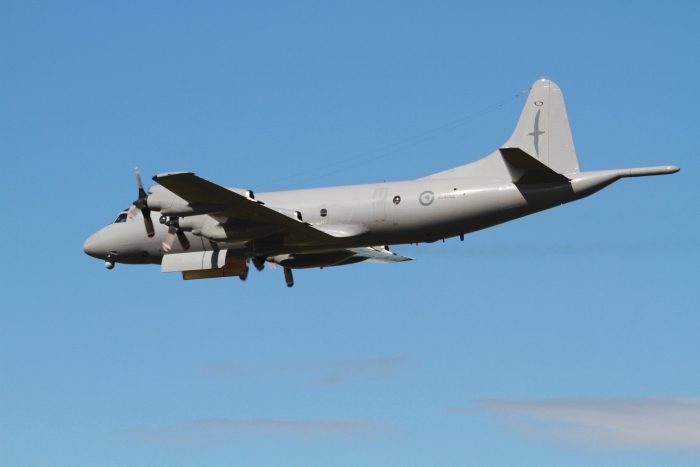 Taking part were joint forces from the Royal Australian Air force (RAAF) with a C-130 Hercules and eight F/A-18 Hornets. One Republic of Singapore C-130 Hercules and a C-17A from the US Air Force, also P-3K Orions of the RNZAF from No. 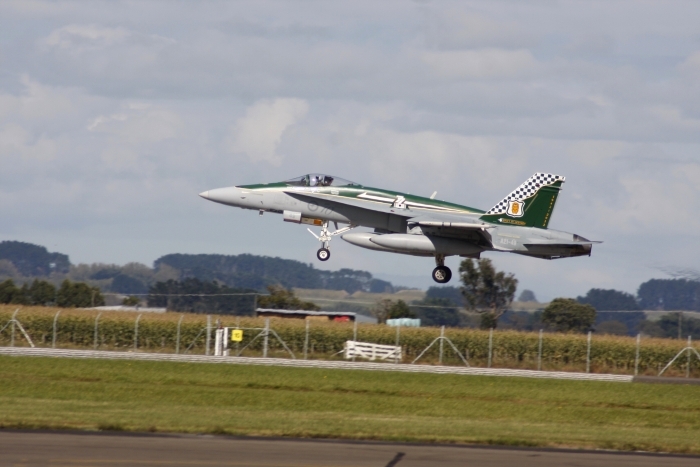 5 Squadron based at Whenuapai (Auckland) took part in Kiwi Flag. 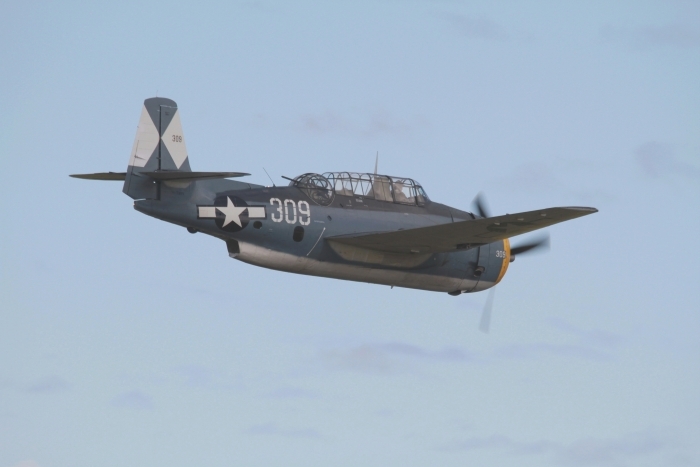 On March 31st the gates were open at Ohakea Air Force Base to the public for the 75th Anniversary Air Show, with many types of aircraft, old and new. 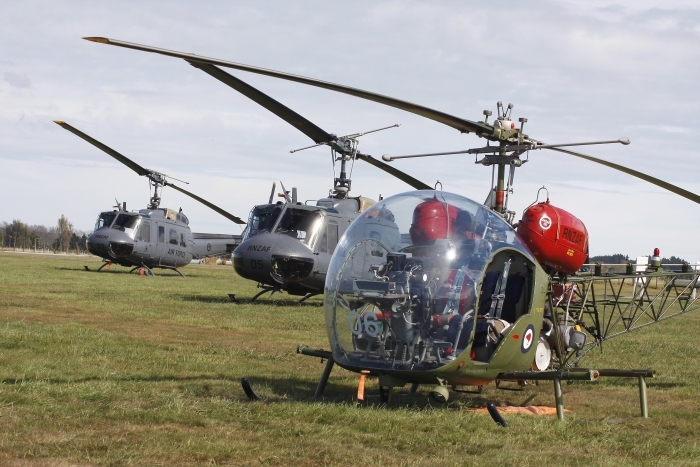 A few of those who participated in the exercise arrived for the show either as a static or display. 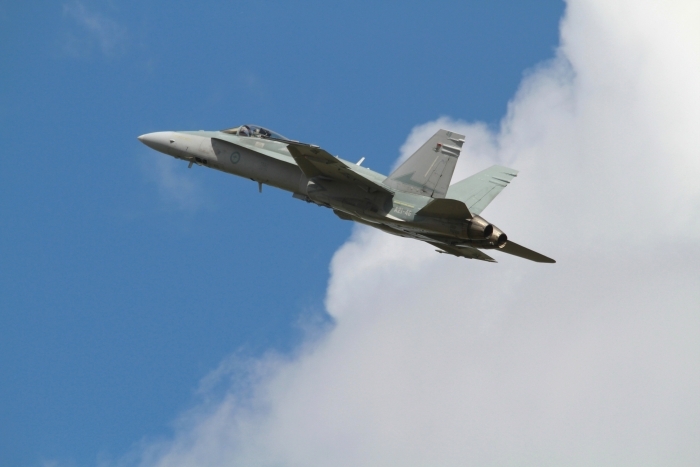 The flying programme consists of four F/A-18A Hornets from No. 3 Squadron of the Royal Australian Air Force, with a tight four-ship formation, then into a fast solo pass and finish with a break in front of the crowd, great to see. More to follow. Later in the show, a solo display by a F/A-18 Hornet from RAAF, awesome. 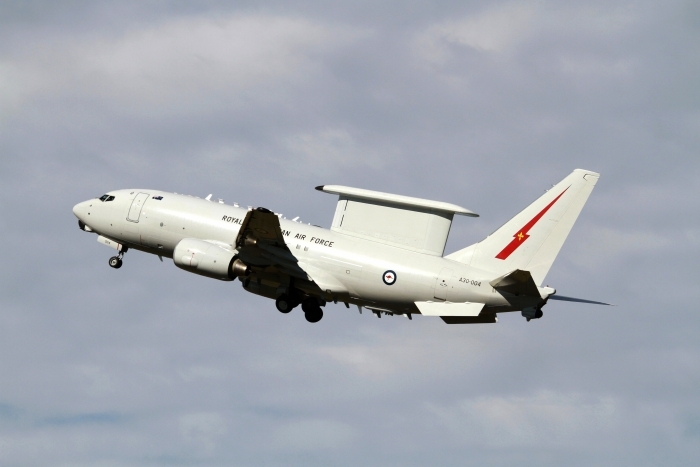 Also from the Royal Australian Air Force was a Boeing 737 Airborne Early Warning (AEW-C) Wedgetail as part of the static line-up, nice looking aeroplane. 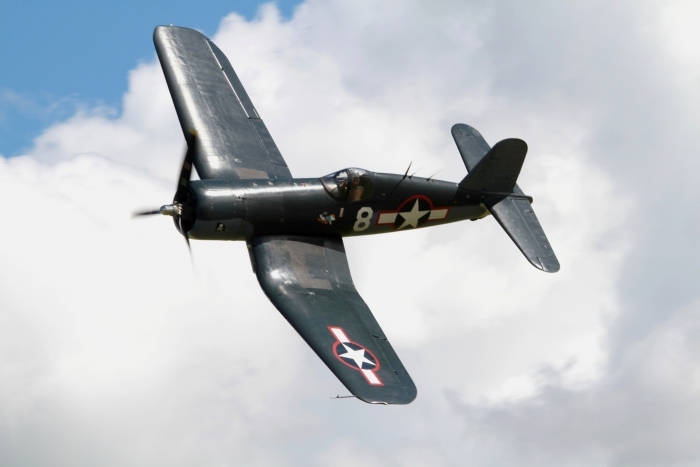 On with the flying programme and into blue skies were a number of warbirds, a Fokker DVII, Corsair FG-1D Grumman Avenger and two Supermarine Spitfires, MH367 used to be a single-seater in WWII and was converted into a two-seater after the war for training purposes, and we must not forget the North American P-51D Mustang. 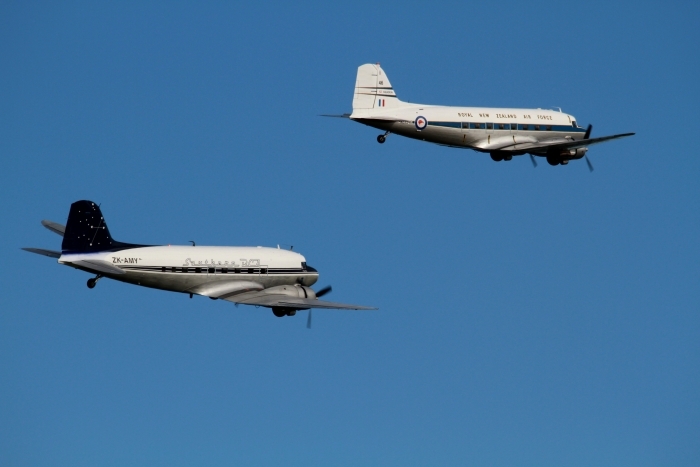 Followed on with a Tiger Moth display, a pair of DC-3 Dakotas, one with the Royal New Zealand Air Force markings, a very smooth display. 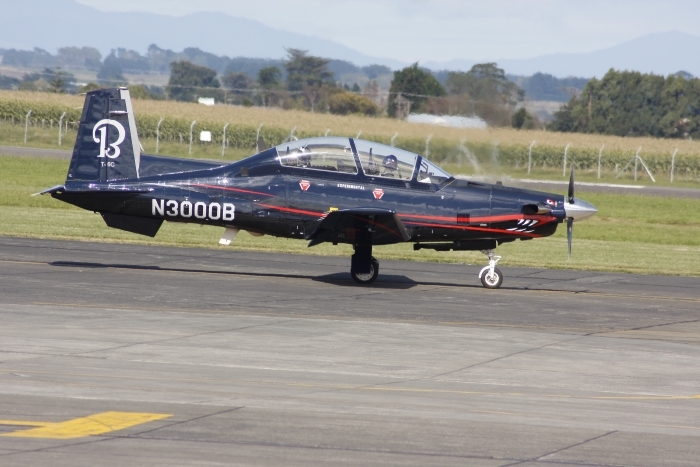 A Harvard T-6, the Yak Aerobatic Team showed their colours well in a fine formation display finish with a follow the leader break and land. Warbird jets era, one of the most outstanding jet aircraft is the Hawker Hunter, almost 2000 were built and served with 18 different countries, on the day what a well performed display, and the other jet was the de Havilland Vampire, arrived in the 1950s and based at Ohakea, another clean display. On with the anniversary and the military. Boeing 757-N7571 from No. 40 Squadron performs very well for its size and operates to many parts of the world and shows the 75th Anniversary markings. Still with the big aircraft, a P-3 Orion based at the same place as the 757 shows how it performs on operations. Now to the heavy load of a C-17 Globemaster of the US Air Force from Hickam, a short takeoff into the display, throwing the aircraft about like a fighter and ending with a slow pass to land. Now to the sight and sounds of helicopters, first the new NH90, it only entered service recently, a few hovers and a couple of circuits, also seen is the new Agusta A109A and it blends in well with the NH90. 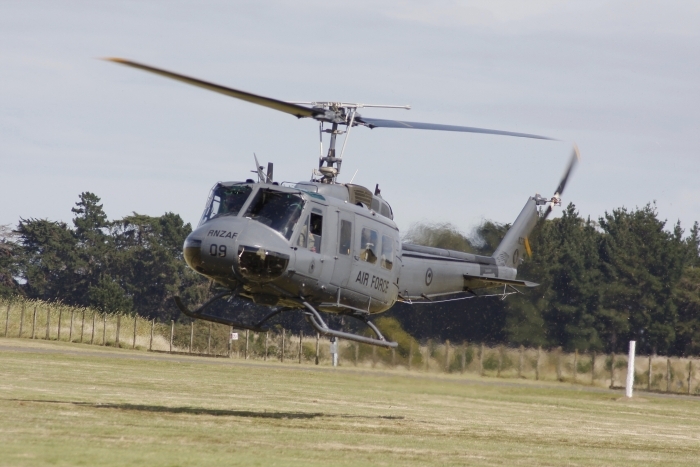 To a Historic sight and a smaller frame was a Bell, still used today for training, also of interest was a SH-2G Super Seasprite operated by No. 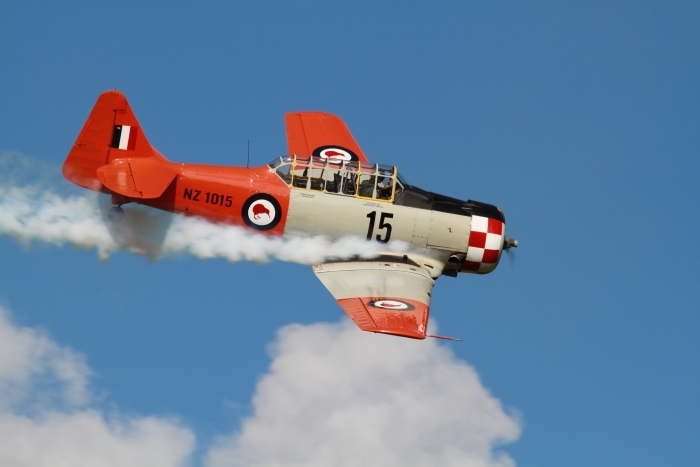 6 Squadron for the Navy, based in Auckland. 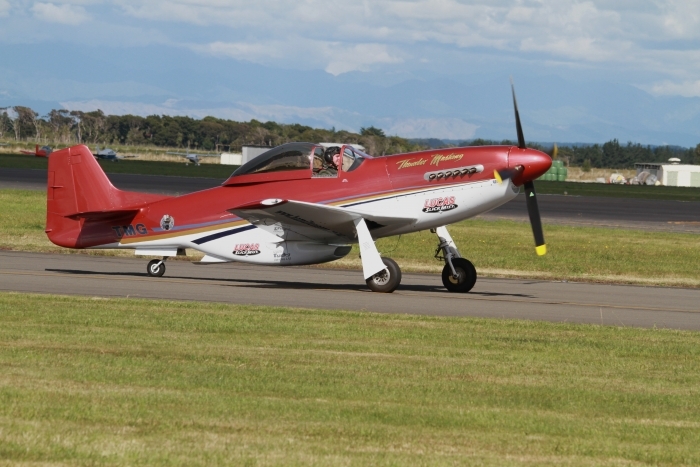 The day finished with the Royal New Zealand Air Force Aerobatic Display Team, The Red Checkers. 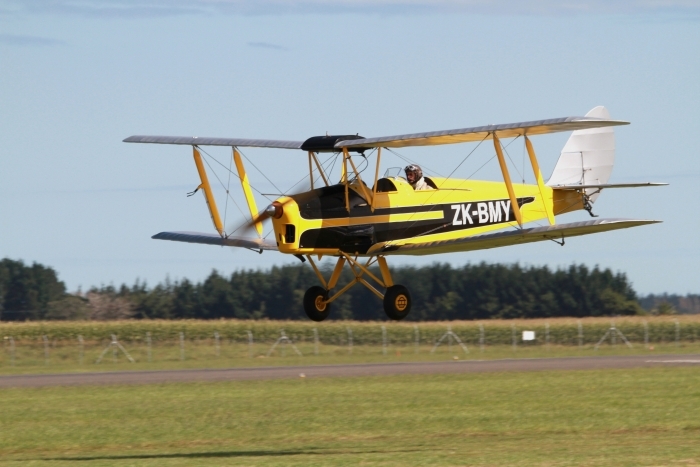 They entertained and displayed well in front of an estimated crowd of 66,000 at their home base of Ohakea. 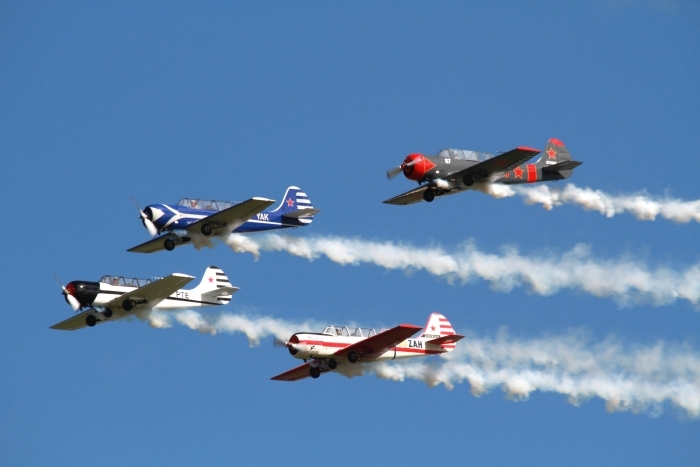 One outstanding air show, well put together and a bright future ahead.